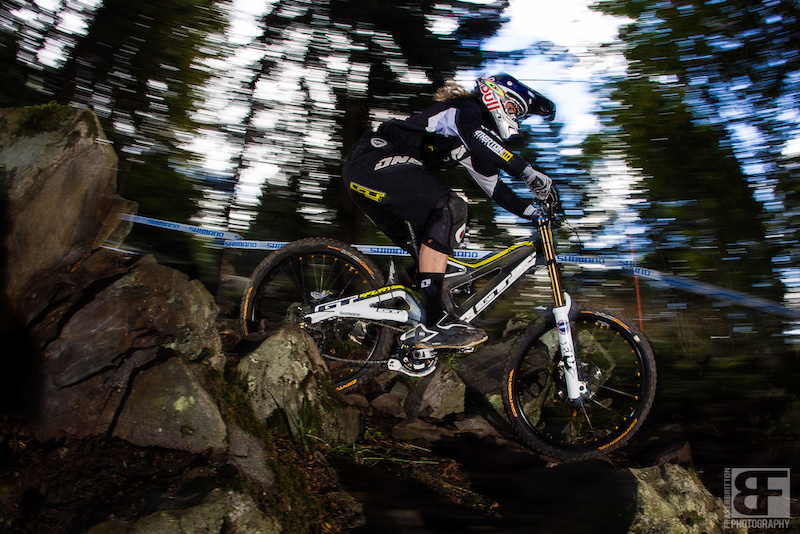 Well deserved overall win for Rachel Atherton she's had an amazing season. Congrats! Rachel won all six races she did this year after taking first race off to heal from surgery!? Thats in my mind a more dominant season than Gwin's!! ^true, shes never won it...yet...hopefully next year. 20 entries, 20 finished. No DNF's?? She crashed in the 1st or 2nd wooded section, got up and rode to the finish without a saddle. Was shown on the red bull stream. ya rachel!!! best weekend ever! congrats to both stevie and rachel! Where are man overall results ? where has gwin been? i havent seen him in any of the recent races.